Since the GEBCO program began in 2004, students from around the world have traveled to New Hampshire to learn new skills and contribute to a global effort to map our oceans. At the end of their year at CCOM/JHC, they return to their home countries where they apply their new-found knowledge and experience. 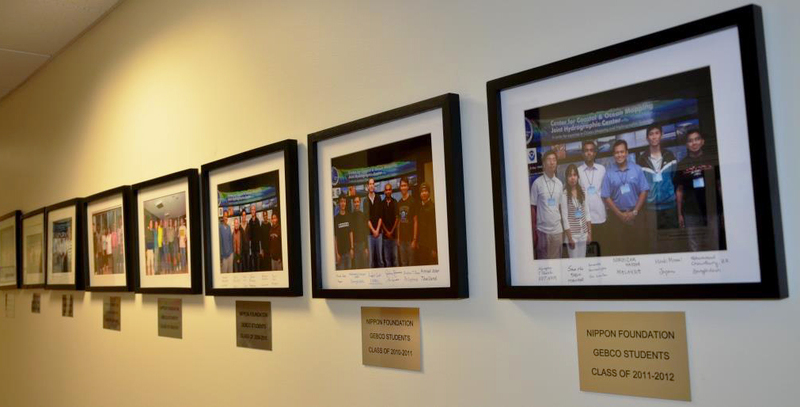 The GEBCO "wall of fame."